I bought this Bob's Red Mill Vegi Soup Mix at Ocean State Job Lot as part of my new healthy diet. 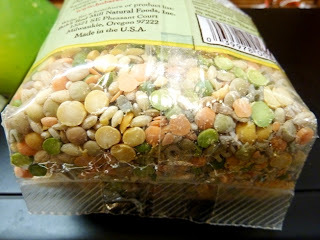 The mix is full of green and yellow split peas, barley and lentils. There's a soup recipe printed on the side of the packaging that you can follow easily. And it's really pretty versatile so you should be able to come up with your own variations by altering the herbs, spices and ingredients. The basic method is to just simmer 1 part mix with 4 parts water for one hour until the ingredients are soft. Add salt, seasonings & other vegetables as desired. 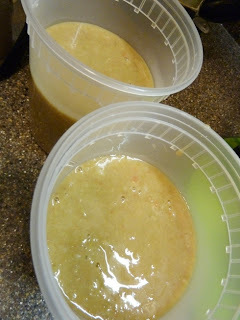 For the below photos, I cooked 1 cup of soup mix in 3-4 cups of home-made chicken soup stock (low sodium) for 1/2hr. And then I added to the simmering soup, some chopped carrots, celery and onion...and continue to simmer for another 1/2hr. 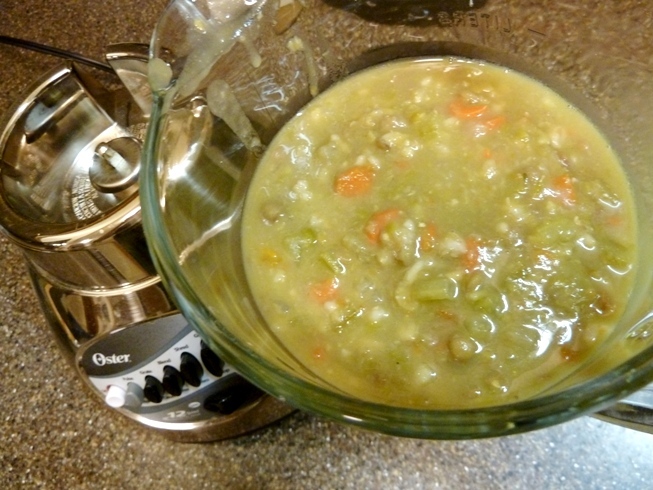 I left the soup to cool slightly before blending it. 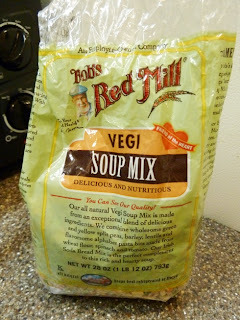 You can blend till very smooth or if you like your soups chunkier...you can either just blend only half the portion or just pulse lightly so that you still have some chunks. When I'm ready to eat my soup, I'd pour the chilled soup out from the container and into a saucepan. I'd add some non-fat milk to it and let it simmer until it's sufficiently warm. While it's simmering, I'd taste the soup and add salt/pepper and other seasonings to it. 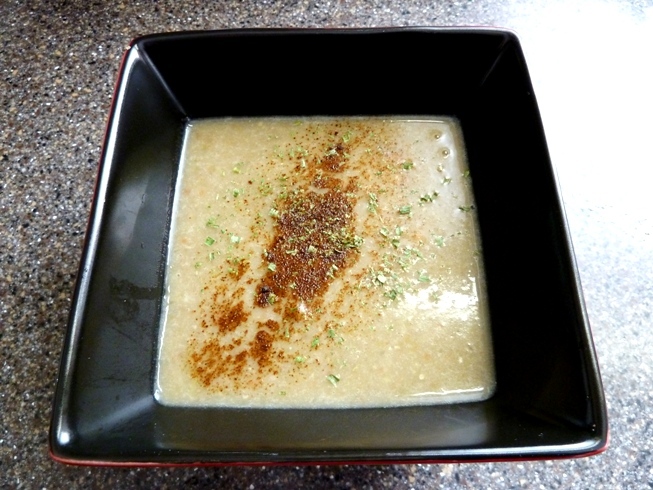 I usually like to add some garam masala and paprika to the soup for some heat.